The lure of a unique history, heritage and culture brings many travelers to the island of Ireland. With a considerable history that spans thousands of years, it is no wonder Ireland attracts so many people. They do not need the luck of the Irish to explore this ancient land, especially if they travel to its famous waterways, the Lakelands. Come, enjoy and explore the serene waterways and mysterious gems of Ireland’s most inviting region. Surrounded by ancient monuments, lush green scenery and flowing water that never seems to end, the Lakelands of Ireland has over 10 different counties that tend to draw travelers in very easily. The county of Fermanagh is the perfect place to discover the countryside. Castles that date back centuries and quaint country homes rest quietly along the county’s flat landscapes. Mysterious limestone caves lie hidden in these landscapes. The Marble Arch Caves Global Geopark, which features waterfalls and underground rivers, is one destination for curious travelers. The best way to investigate this cave system is to take a guided underground boat tour. 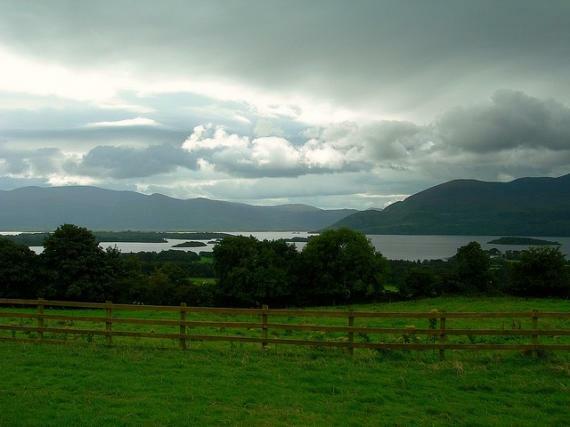 Ireland’s haunting melodies, ancient folklores and engaging people perfectly describe what the Lakelands are all about. For a cultural and traditional experience, the county of Offaly offers a taste of the Lakelands’ local music and dance. Lough Ree is another county filled with music, dance and amazing storytelling sessions. Travelers and locals alike can find festivals all over the Lakelands. Portlaoise holds a musical extravaganza, The World Fleadh, every year. Celtic and Irish songs fill the summer months of July and August. The Terryglass Art Festival makes a perfect excuse to visit in September. This event is held in Lough Derg. Enjoying a meal of traditional Irish eats after listening to the Lakelands’ finest sounds or touring its many sites of interest is always an option at pubs like the Sheelin in Fermanagh. This pub and restaurant offers mouthwatering meals of local dishes, such as black bacon and many other Irish delicacies. County Cavan, located near the River Shannon, provides a host of cafes serving delicious Irish coffees, scones and a variety of bagels for lunch. Relaxing in a cafe is perfectly suitable after horseback riding or playing golf. An elegant dinner on the River Shannon, or at the MacNean House and Restaurant, make a great ending to a very active day.